Interested in your ancestors military career? Do you know what wars and battles did they fight in? Did they get any awards, medals or did they even face disciplinary action? Well, here are some tips that will help you to perform a military records search. There are many ways in which you can find these records and you don’t even have to spend a penny on some of them. Yes, there are FREE ways that you can check out your ancestor’s military records. There are 5 different ways that you can search for your ancestors military records into five different ways. I have listed a number of tips for each of these different methods. For me it is important to check out the free options first. By this I mean you want to check out what YOU already have in your possession. You may or you may not even know that you have such records in your home. Or your relatives may have these records and are only to pleased to help you out. Your home has many reminders of your past and that of your ancestors as well. You may have boxes in the cupboard of a spare room, or down in the basement, or up in the attic. Do you know what is even in these boxes? You may or you may not know. So, why not see what is in them? Are there any family heirlooms? Your older relatives may have passed down family heirlooms down to you. These may have been passed down for a number of generations. I have in my home reminders of my 2nd great grandfathers and their military careers. Even if you do not have your ancestors military records you may have clues as to where you can look. In this instance just having some connection to their military life will get you closer to what you are looking for. These can give you some clues as to what Armed Forces they may have served in and also what battles they fought in. These can also give you clues as to where your ancestor saw conflict. The former of these can give you a description of what your ancestor looked like. This is particularly interesting if you have no photographic evidence of him. Discharge papers can show you what rank and regiment they served in as well as where they were discharged. Asking our relatives about our family’s past is one great way to find out more about our ancestors. 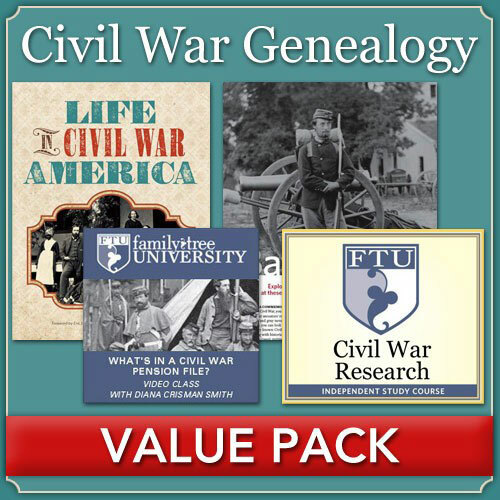 What’s great is that it is such a FREE way for us to collect for our genealogy research. And also you just don’t know what you will hear from them about your family tree. That is just the nature of this wonderful hobby. Getting the most from an interview! Whenever you interview your relatives you want to make them feel comfortable. You don’t want to do bombarding them with question after question. After all is this an interview or an interrogation? Even if you haven’t met your relative that you are going to interview or it has been a while since you last chatted with them you want to make them feel at ease. Try talking to them as if they were an old friend. You will gain immensely from this as you will hear more information as they will be more open to you. Be mindful that there may also be old friends of the family that may help you in your search of military records. If you do not know of any then you could ask your relatives for help in this matter. Any line of inquiry is worth checking out. Even if it does lead to a dead end, (no pun intended), at least you tried. These can be a great stimulus to encourage your relative to share their memories of your ancestors. They may even remind them of long-forgotten memories as well. Chances are that you will not remember everything that you are told. So, it is well worth bringing something to record your relatives answers. After all you do not want to get home only to realize you have forgotten some much needed information. You will be surprised as to how much will be talked about while you sit and chat with your relative. Also, you will be surprised as to how much time will have passed. If your relative is particularly old you will want to limit how long you will be chatting with them for. I feel that you are getting so much from this interview. So, why not get them a gift to say thanks? You could bring flowers or chocolates, maybe something that you know that they like. You could also bring your genealogy research that you can give and leave with them. Also, you may tell your relative that you will return to tell them what else you have found out about your ancestors since your visit. Telling them this will encourage them to share with you. Have you Googled it? With a wealth of information it is definitely worth checking out this search engine and seeing what comes up. You may be lucky and find information about your military ancestors for free that you would otherwise have needed to pay for. After you have checked your home and asked your relatives and old friends for help then it is worth checking out this option. You will need to be mindful of a number of things when searching Google. Or even any other search engine for that matter, as I will list below. You may, or may not, be surprised as to what you will come up when you type that phrase into your Google search engine. It will list for you all local record offices to you where you can check for military records. You have heard that everything is online. Well that is obviously not quite true. But it is worth noting that even if you do not find what you are looking for then you can always have another look at a later time. Information is being added all the time so it’s worth checking again. Is it behind a firewall? If you cannot find what you are looking for then chances are that it is behind a firewall. This therefore means that you will have to sign up to sites like Ancestry, FindMyPast or MyHeritage in order to find the records that you are looking for. Records listing your ancestors may contain errors and these may also include mistakes in the spelling of their names. So, please be mindful of this when you are searching for them. If you are looking for your British ancestor then you may wish to go to Google UK instead of Google US. Placing quotes before and after your search will limit what you are looking for. Using this feature will help you pinpoint to the information that you want. When I was researching my ancestors I was at first interested in their names, their connections and any dates of importance, such as their birth, marriage and their death. After that I was interested to know what they did for a living. And then I wanted to know more. Genealogy is a fascinating hobby! After we have found information about our ancestors the more we are encouraged to find other sources of information about them. There is just so much out there about our heritage, just where do we stop. Well, with books you may not find military records, but I did want to point this option out to you for one special reason. Have you considered the impact the war had on your ancestor, or that of their family? And where did they go to to fight? There are just so many questions you could ask about this time in their lives. Books can give you a glimpse into their lives and just give you a sense of appreciation of what they went through and what they had to sacrifice to make this a free country. Your first option is to check your local library. There should be a section concerning wars and conflict. You may be lucky to find local history books which includes chapters on how a war effected the community. And it is possible that your ancestors are even listed in these books. The library may have its own family history group which may have meetings. This group can steer you in the right direction and show you where you can look for information on your military ancestors. By far the largest retailer on the planet. With Amazon you will able to find many books on any war that you choose to research about. Following on from searching online you will have come across a number of genealogy search websites. You have obviously heard of Ancestry, which has the most records out of any other genealogy site. There is also Fold3 which is a dedicated military database. This site is definitely worth a look in my opinion! Before you check out these two genealogy sites please try out the previous methods that I have outlined thus far. Once you have reached this point you will have a much better idea as to what you are looking for. And also I bet feel even more excited when you have found what you have been looking for. Above all else if you have tried the free ways first and haven’t found your military records then you may just have to pay for them. Genealogy is after all like any other hobby and you will have to expect to pay for something along the way. I want to also stress that you really need to spend something to get the most out of this hobby. Doing so will do your genealogy research justice and also doing so you will have created something that you can be proud of and can be passed down to your descendants. My first and best tip for you when checking sites with a dedicated military section, such as Ancestry, is to check them out at your local library. Their computers should be FREE to use and accessing these records will also be FREE as well. You can treat this as a taster for the Ancestry service. If you like it then why not then buy Ancestry and use it at home. With Ancestry or Fold3 the more information that you can provide then the more accurate the results you will receive. This will therefore mean that you will find what you are looking for quicker and so you are not wasting your time sifting through records that are of no interest to you. Your ancestor’s name may have been recorded incorrectly so please try a few variations when you are searching through these databases. Their given names may also have been noted down as initials instead. My 2nd great grandfather’s name was David John. During his early life and during his time in the army he was called by his middle name John. Only in later years was he known as David. So, if you are struggling to find an ancestor it may be worth searching by their second name. When you do find an ancestor in the databases take note of the index number that is associated with the record. You can then use this number to send away for the record and thus get more information. Not everything will be available online, just some basic information. So, you will need to pay for these records to get the full details. When you find the information that you have been looking for then it is important to cite it and record it to your family tree. You will want to have proof of what you have found. Also, it is a good idea to cite your sources as you or someone else may come to it at a later time. Throughout this post I have commented on how you should check out your free options first. What is the point spending money and also time when you may either have it in your possession in your home, or your relatives may be able to help you. Spend your money wisely and buy the records that you would not be able to get otherwise. Check your free resources first! Purchasing a record that your Aunt Martha could have given you for free is far a better way to go isn’t it? That money could have been better spent! Anyway I hope that I have enlightened you in the different ways that you can use for finding your ancestors military records. I do intend to add more tips so if you are interested to share them with me then please feel free to comment below. Why not head on over to The National Archives website. Here you will you can access many military records such as Enlistment Records, Casualty Reports, Prisoner of War Data and many, many more records to help you with your research. I hope you enjoyed this post giving you tips for a military records search. If you have any questions or comments then please leave a comment below. I have only been working on Geneology for a year, I just found this site, by googling for old occupations. I have learned quite a bit in the last hour. Thank you for all the great ideas and help. I also just signed up for emai alerts. I’ll take any and all info I can get. Hi Eve, thank you for your comment. I am glad to hear that you have found this site to be useful for you. I cover everything and anything about genealogy. Did you know that October is Family History Month? I will be posting an article in a day or so about what you can do for this month. So stay tuned for that. Thanks again for your comment and thank you for signing up for emails. This is very interesting. I think the older one gets, the more one’s interest become in where our ancestors came from and what they have gone through. The different wars also influenced the migration patterns that happened simultaneously or after such wars. I can see that people’s interest in their family history does grow as they get older. But it does depend on their influences as well. For me my father told me stories at a young age. It was only when I was older that I thought it would be a good idea to write these down before they were lost forever. Wars not only affected the community but yes they may have meant that your ancestors may have migrated as a result of them. It’s cool to think about the contributions our ancestors made and how everything in their life had to pretty much happen exactly as it did or we wouldn’t be here. Going back and researching them is like taking a moment to look into ourselves. Nice post! Thank you Eric. I often think that as well. If just one set of ancestors didn’t meet then you wouldn’t be here. Everything in their lives has led you to now. It’s just mind blowing sometimes. Very informative article, thank you very much Owain. Why do we need to conduct a military records search? Well to find our ancestors who had died in the battlefield for starters. Or if they did survive the war we may what they did afterwards. But also during the war as well and where they went and what action they saw. Yes that’s exactly right. We can learn so much from looking at these tips of records. I too have found out a lot about my military ancestors. I have learned which wars and conflicts they fought in, what countries they went to and when, their rank and awards and so on. Just so much we can learn from these types of records. For me it is important to research everything about my ancestors. Maybe I’m obsessed but I love it. I like knowing everyone that I can about them. And the amazing thing is is that the information is already out there, we just need to find it.